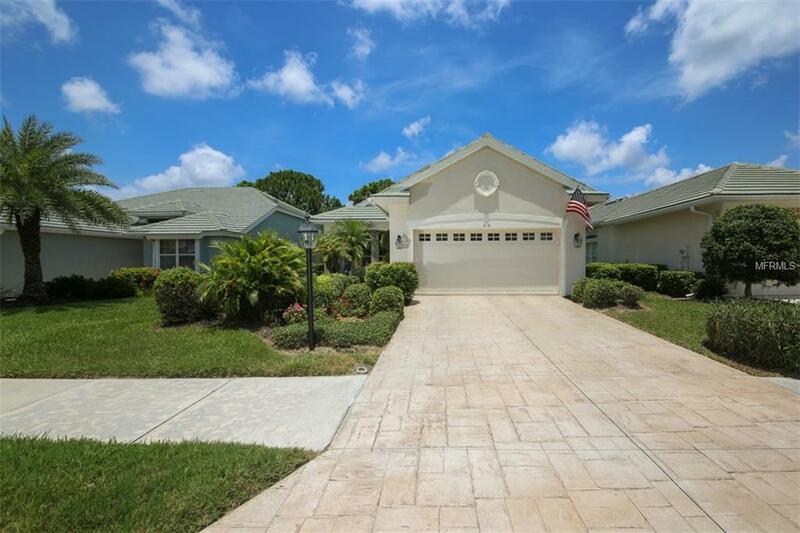 A 3 Bedroom 2 bathroom/den and spa 1945 square foot Arthur Rutenberg gem in VGCC now available. 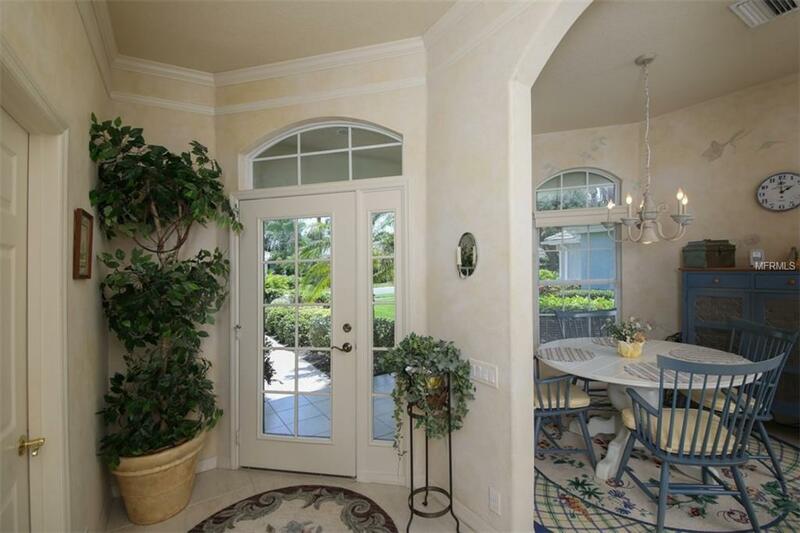 It is situated on a prime lot where beautiful golf course and lake views abound. A quaint covered porch leads to the tiled entry foyer .The kitchen offers an eat in area surrounded by windows , granite counters and custom cabinetry with pull out shelving. A breakfast bar opens to a spacious DR and Living Space. 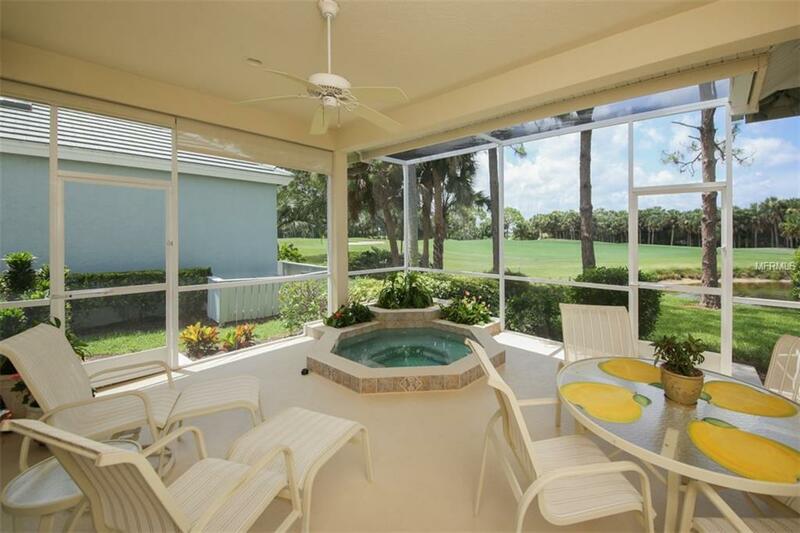 Triple sliders with hurricane panels lead to a spacious lanai which boasts a gas heated spa.The master bedroom has a triple window with gorgeuos views , a lanai access door and separate bath vanities . There are also 2 walk in closets with built ins. There are 2 additional bedrooms one of which is set up as an office with custom built ins. A walk in laundry leads to a 2 car garage.The house has cream carpet, along with tile and wood flooring. It has been replumbed. A full home audio system completes the picture. This house is open and bright and the views are awesome. 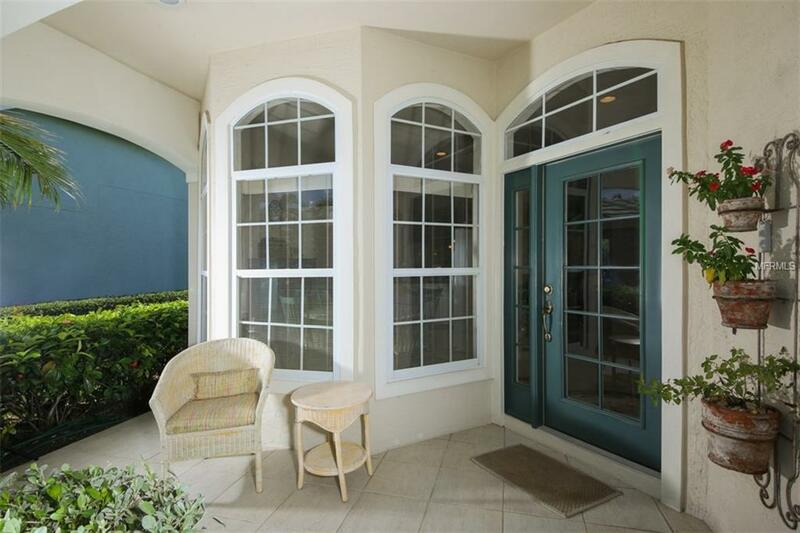 It is located in a private golf and country club in a maintainance free neighborhood . The neighborhood pool is just down the street. There is an 18 hole Championship Golf Course, Har-tru tennis courts , multiple social and sports activities and a private restaurant. Come start living the Dream.